@JasonMercier clinches @WSOP Player of the Year after Paul @paulgees81 Volpe's Main Event run ends. 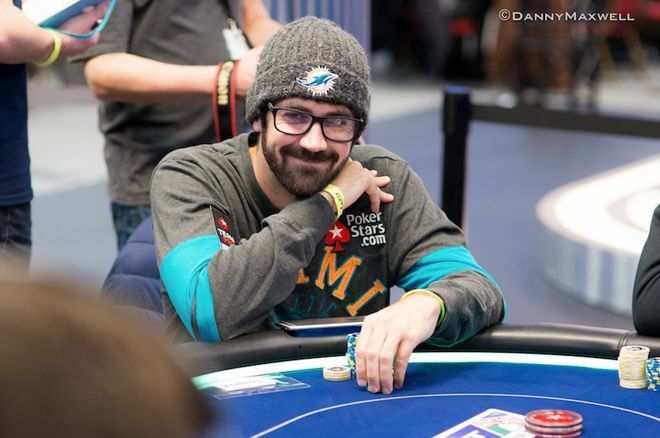 @JasonMercier tops @WSOP POY race over @paulgees81, @max_silver, @angryjmonnett, @JustinBonomo. It might have seemed like Jason Mercier had already wrapped up the 2016 World Series of Poker Player of the Year by mid-June. In three consecutive preliminary events, Mercier won two bracelets and finished runner-up in the other, catapulting himself way ahead of the chase pack before the series had even reached its midway point. But it wasn't until Paul Volpe saw his 2016 World Series of Poker Main Event run stopped in 29th place late last night that Mercier could be assured of having clinched 2016 WSOP POY honors. A third-place finish or higher in the Main Event for Volpe (who won a bracelet this year in Event #15: $1,500 8-Game Mix) would have been enough to surpass Mercier at the finish line — much like Greg Merson did when winning the 2013 WSOP Main Event to beat out Phil Hellmuth for that year's POY. Mercier added one last cash — his 11th of the summer — in Event #69: $1,111 Little One for One Drop, to gather a few more points and extend his lead over Volpe and others. Volpe's Main Event finish (his ninth cash of the year) not only earned him a handsome $216,211 score, but it also awarded him a hefty prize of 357.62 WSOP POY points. Even so, that still left Volpe more than 270 points shy of Mercier's total. Like Volpe, Max Silver made a late push in the POY race by picking up big points in three separate events, including getting knocked out from the Main Event himself last night in 33rd place to move all of the way up to third in the POY standings. John Monnette (in fourth) and Justin Bonomo (in fifth) both had several near-misses for bracelets this summer. Meanwhile sixth-place Michael Gathy picked up his third career bracelet in Event #35: $10,000 No-Limiit Hold'em Six-Handed Championship, finished second in two other events, and also enjoyed a relatively deep Main Event run to finish in 107th. Martin Kozlov's victory in Event #39: $10,000 No-Limit Hold'em Six-Handed Championship highlighted his seven cashes this summer, putting him in seventh in the POY race. David Vamplew made no final tables but cashed 11 times to sit in eighth, while Chris Ferguson had one final table among his 10 cashes to land him in ninth. Finally two-time bracelet winner Benny Glaser sits just inside the top 10 in 10th position. Just outside the top 10 are Michael Mizrachi (11th), Jason Les (12th), Daniel Kelly (13th), Koray Aldemir (14th), and Roland Israelashivili (15th). Israelashivili cashed in both the Main Event and the Little One for One Drop to bring his overall total of cashes to 13 for the summer, beating the previous all-time record of 12 cashes established by Konstantin Puchkov in 2012. It should be noted, however, that the WSOP made a change this year to ensure the top 15% of finishers in events would make the money. Of the 27 players remaining in the WSOP Main Event, the one with the most 2016 WSOP POY points is James Obst. The Australian, who will be fourth in chips to start today's Day 7, currently sits in 37th on the list with 1,188.13 points. According to the WSOP POY calculator (powered by the GPI), a victory in the Main Event will be worth 824.26 points, which for Obst would be enough to get him to 2,012.39 points and to second place on this list, but not enough to reach Mercier. Click here to visit the GPI site and see the entire list of players according to their 2016 WSOP Player of the Year ranking.